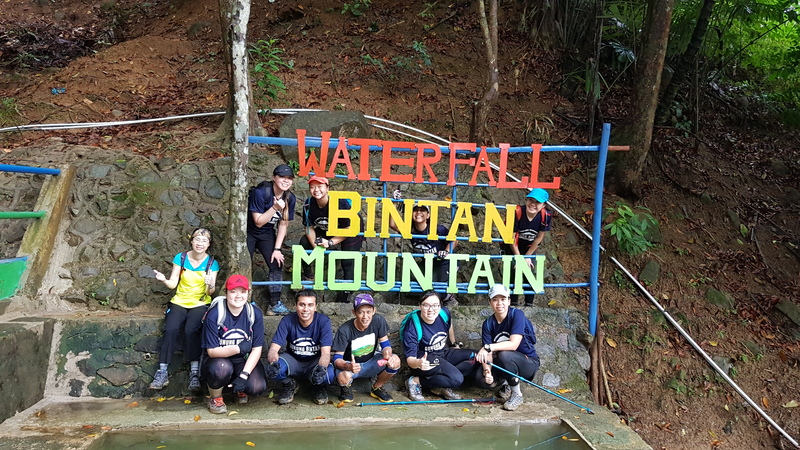 We are always looking at different places we could hike, cycle, or run in, and when we found out that Bintan island has a mountain, we know we must hike it. 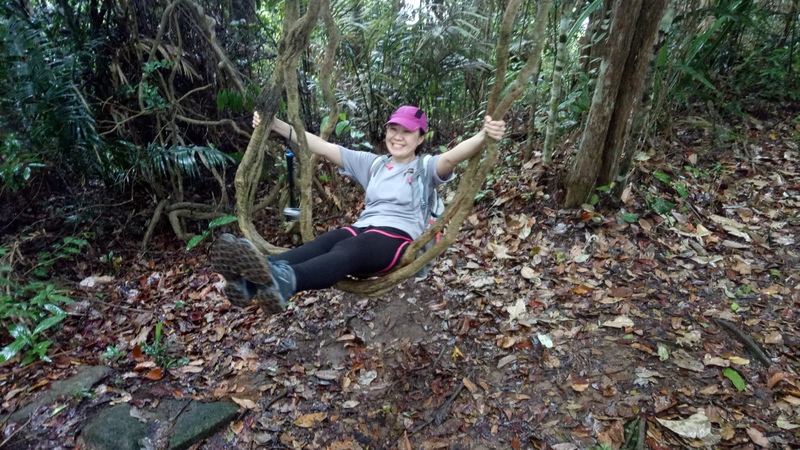 Sheryl and I went for a recee hike first because this is a new mountain that we have not venture into before. 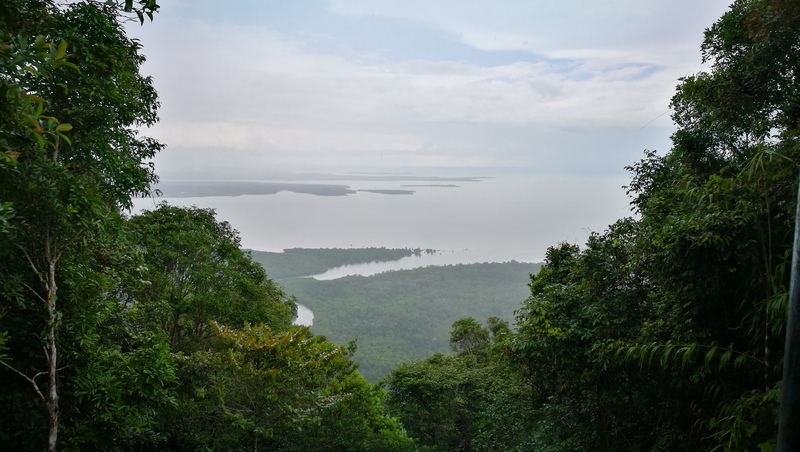 We were both so pleasantly surprised by all the sights we saw inside this relatively untouched mountain, and the view at the summit is something we did not expect. 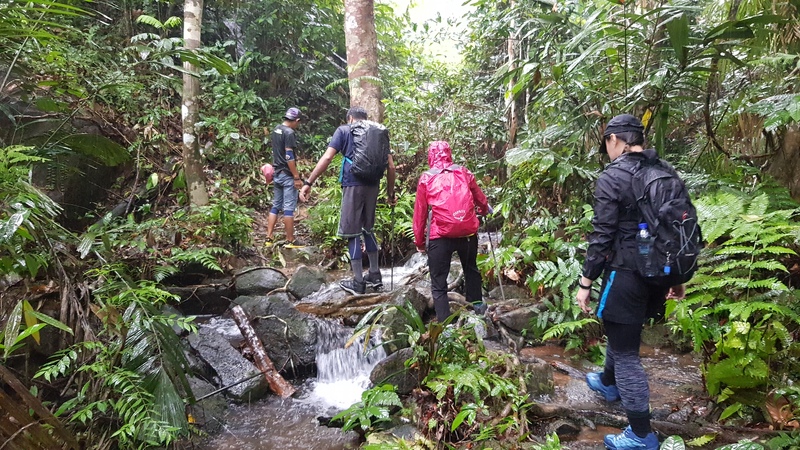 We told ourselves that we must bring our members to experience this hike. 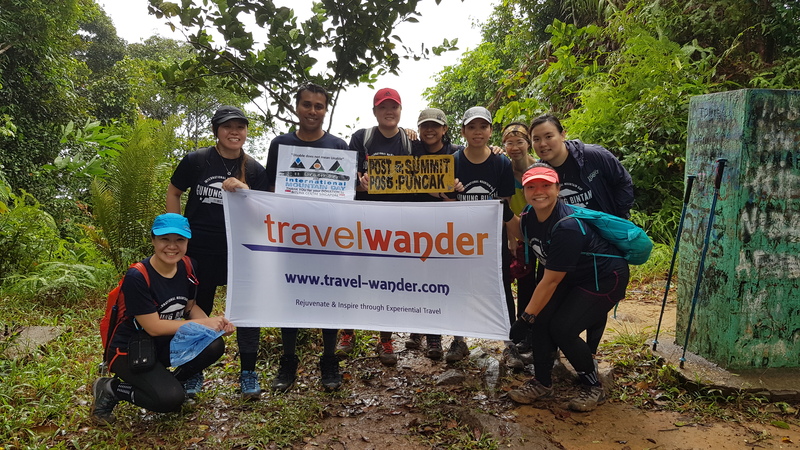 We launched this hike in conjunction with the International Mountain Day which falls on 11 December every year. 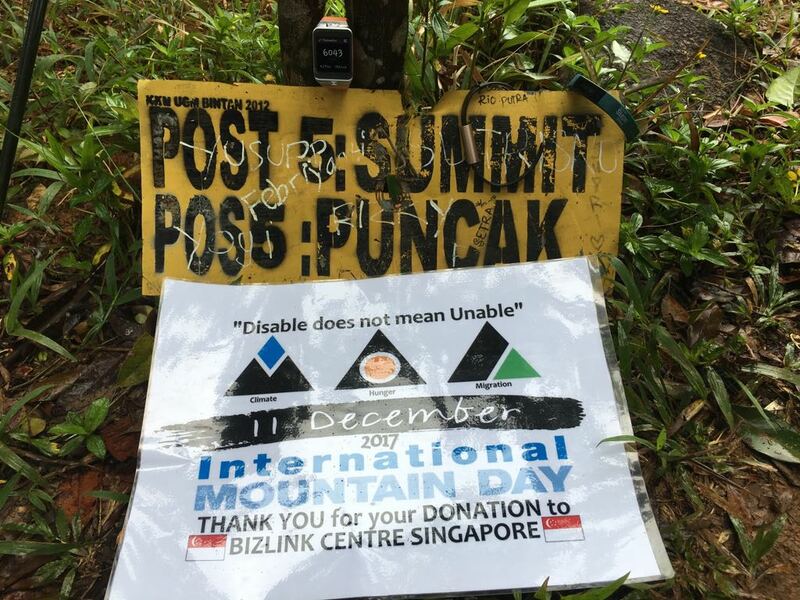 To make the hike more meaningful, we got our members to raise funds for our chosen charity, Bizlink Centre Singapore, a non-profit organisation dedicated to serving the disadvantaged individuals, in particular people with disabilities, through training and employment in Singapore. 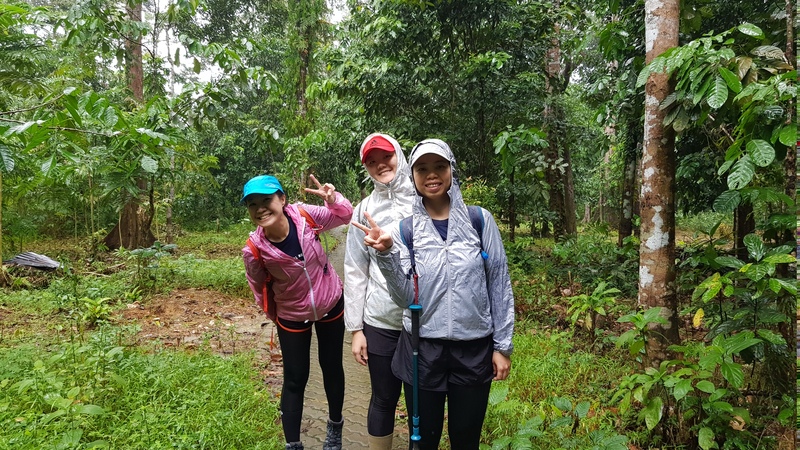 On the morning of the hike, the weather was slightly gloomy and, it started to rain when we reached Bintan island. The rain has mellowed down just a little after we are all geared up. 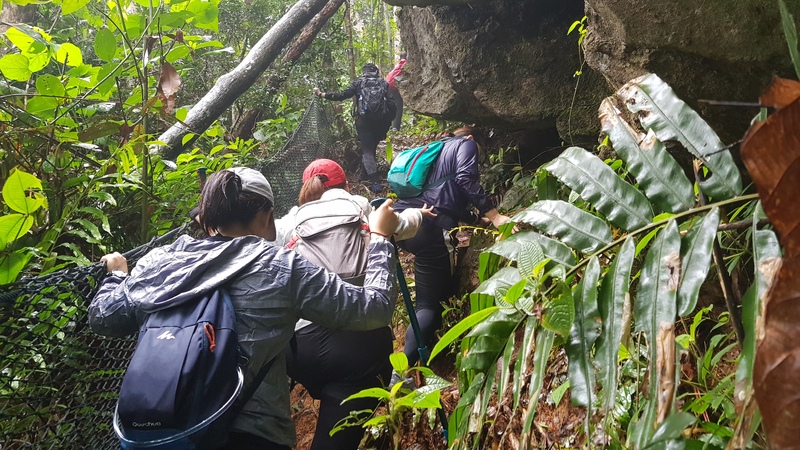 We were concerned that the hike could not proceed as the rain may cause the route to be too slippery; the mountain does not have nicely paved pathways. We were all relieved when our mountain guide gave us the greenlight to proceed. 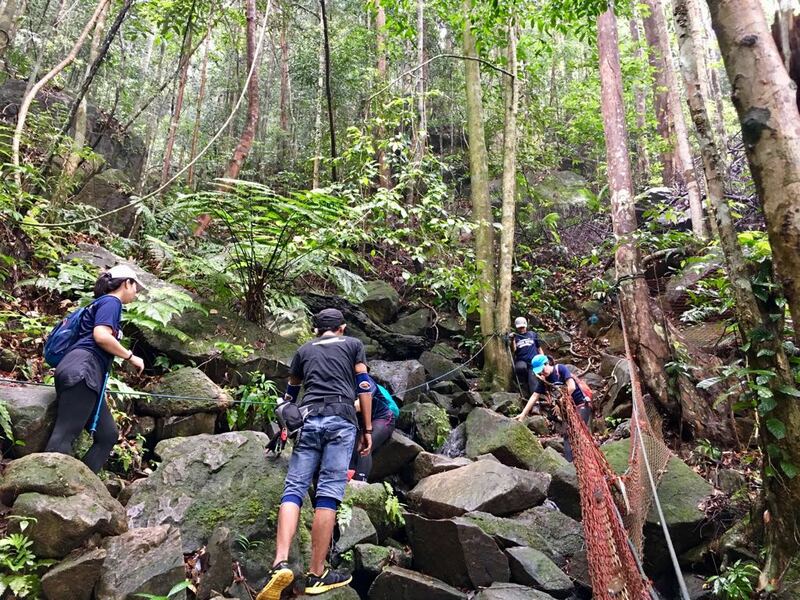 For us outdoor lovers, we are less concern about getting wet, and more concern about making a wasted trip, hahaha. Of course, we were constantly reminding one another to be careful as we hike. 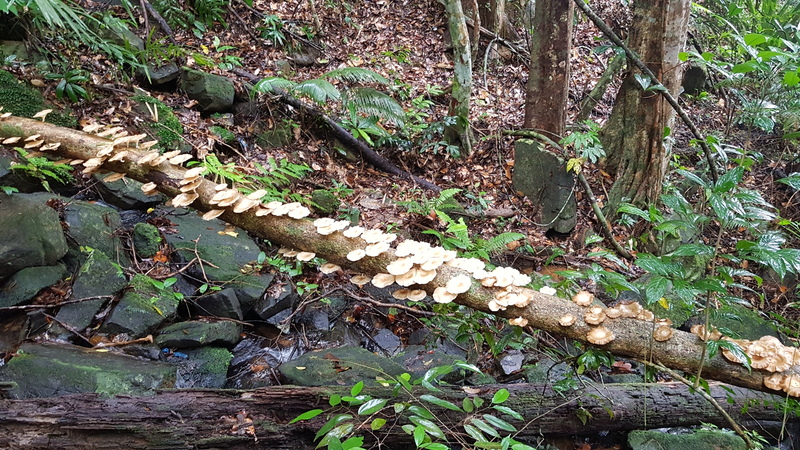 Along the way, we were greeted with interesting plants that we didn’t see elsewhere and our mountain guide was patient in explaining the interesting finds to us. The mountain was not very high (standing at just 340 metres tall) but it sure packs a punch with constant elevation and very few flat lands. 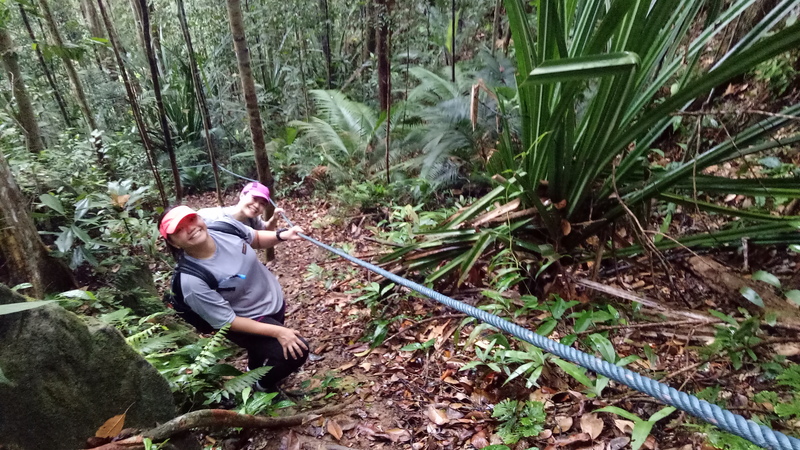 There are well-installed ropes along the route to help with the climb (fun fact: we met the gentleman that installed the rope at Gunung Bintan on a separate reccee trip in Batam. What a small world!). 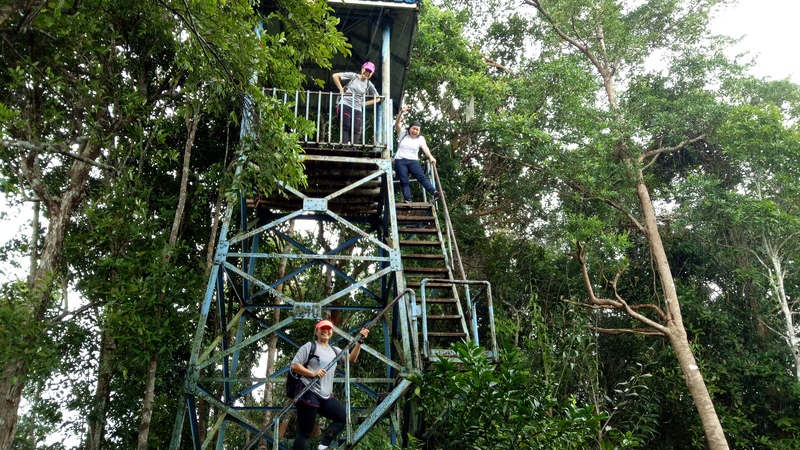 When we reached the summit, there was a nice rickety watch tower where you can climb to have a better view of the entire Bintan island. We were cautious not to have too many people up at the same time though, not sure how much weight that structure can carry. 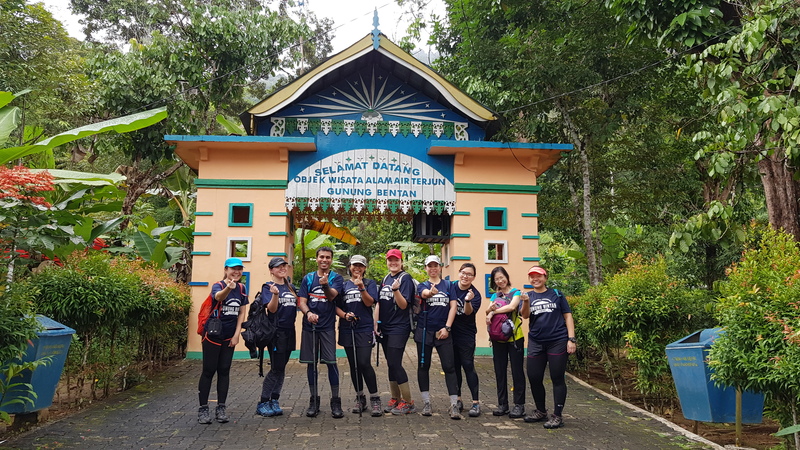 We took a breather and had some snacks to refuel ourselves before making our descend via another route. On the way down, we came across a very interesting monument. 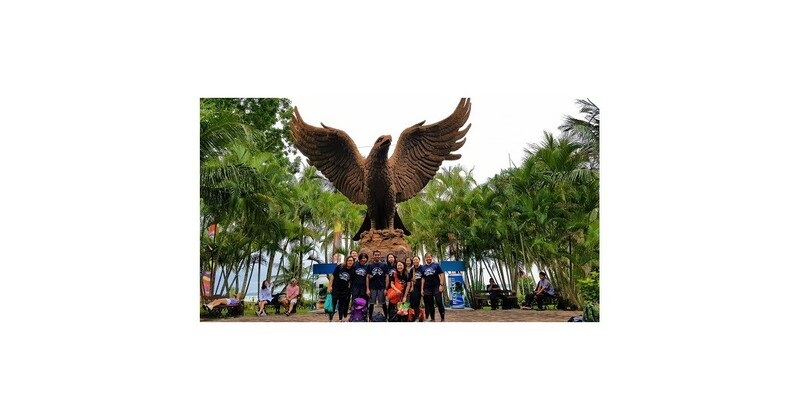 It is believed that the monument was the bathing pool of the princess who once ruled Bintan island. 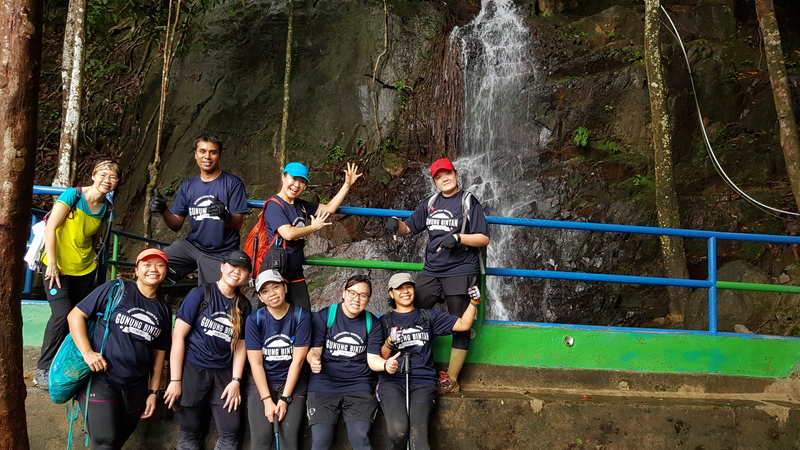 At the foot of the mountain, there is a nice waterfall where we dipped and wash off some of the mud off our clothing and hiking shoes. 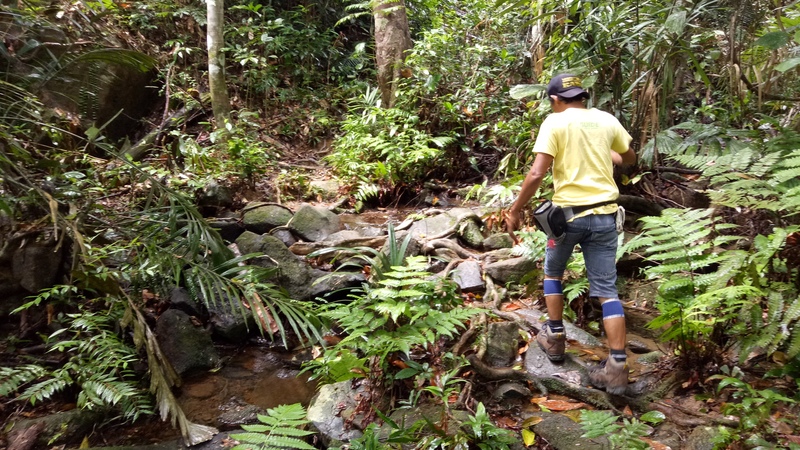 This waterfall is at its most robust during rainy season, so it is our blessing in disguise because of the rain we encountered. 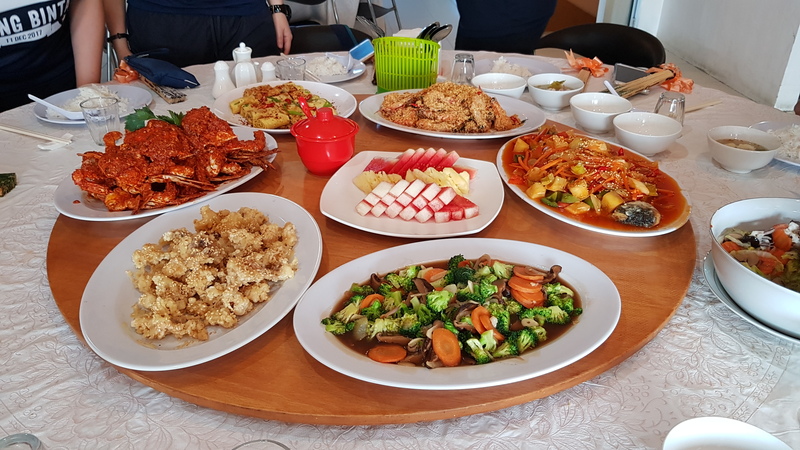 After our hike, we rewarded ourselves with a sumptuous seafood lunch, followed by some r&r time at the resort before another sumptuous barbeque seafood dinner. In fact, we all agreed that we input much more than our output and regretted being such a glutton hahaha. The next day was another r&r morning before our checkout and most of us went for a massage to sooth our tired muscles. 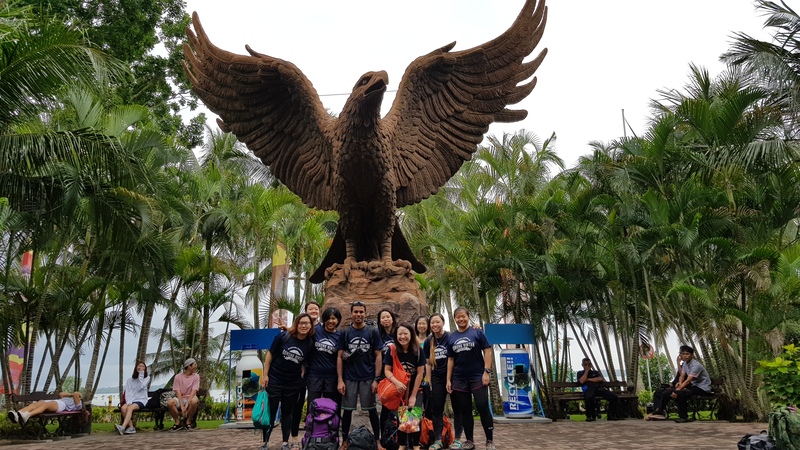 It was a very rewarding trip as not only did we explore another side of Bintan, we helped raise funds for our appointed subsidiary too. I guess you could say, we all walked away with a smile from this experience.